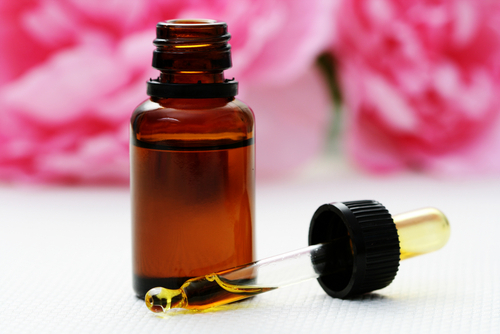 When using essential oils during chemotherapy or radiation, it is a best practice to use them as inhalation therapy. In my first blog post I discussed where essential oils come from; the place essential oils hold in history dating back to early Egyptian times; and the different grades of essential oils. To clear up any confusion, the term aromatherapy is the use of essential oils. The essential oils I use exclusively are Young Living Oils. I use this brand exclusively because they have been registered as safe for internal use as supplements by the USDA. Now I am not a girl who believes everything the USDA says, (I am very much an alternative health girl), but because there is zero regulation on the production and distilling of essential oils, I take the USDA approval as a vote of confidence in the purity of these oils. Labels on essential oils in grocery stores and health food stores will often say, ‘do not place on skin’ or ‘for aroma only’ or ‘do not ingest.’ This is not the case with Young Living Oils. The quality of Young Living Oils have a proven 20 year history of being used topically and internally with great success. I would never suggest using an oil of inferior quality as a therapeutic health alternative. When using essential oils during chemotherapy or radiation, it is a best practice to use them as inhalation therapy only on those days. Each individual has a unique situation, a unique body, a unique plan for wellness. What you read here is a general recommendation. Please check with your doctor when using alternative modalities. Today we discuss 3 therapeutic grade Young Living essential oils and how to use them. Aroma Life for lymphatic health, circulation, reduce stress, hemorrhoids, may reduce blood pressure. Lavender is a universal oil and the most widely used of all essential oils. It has a traditional history for calming and balancing the mind and body. Just a short inhale of Lavender can turn emotions to calm and peaceful. How will Lavender help me? Support confidence and good thoughts. Improve brain clarity and dispel brain fog. Ease anxiety, exhaustion, and nervousness. Improve sleep and mood. Stop allergic reactions. How do I use Lavender? Topical: Place 1 – 2 drops on wrists, back of neck, temples, massage on soles of feet, place over heart. Diffuse: Diffuse using a cold mist diffuser so that all healing components are kept in integrity. Diffuse next to bed at night for a calm and peaceful sleep. Before getting into bed, place a few drops into your palms, rub your hands together and apply over pillow for a peaceful sleep. Place 2 drops in hand, rub together, place over nose and inhale consistently for 20 seconds. Peppermint is the second most widely used essential oil. It has multiple uses and supports the body on every level, mental, emotional and physical. Just a short inhale of Peppermint will invigorate and uplift the mood and mind. How do I use Peppermint? Topical: Place 2 drops on forehead and back of neck to relieve a headache in minutes. Place 2 drops on stomach to improve a stomach ache and improve digestion. Place 2 drops on an ache or pain to ease pain within minutes. Diffuse: To dispel nausea, dispel brain fog and invigorate mood, place 2 drops in hand, rub hands together, then cup over nose, inhale for 20 seconds. Repeat as often as needed. You cannot overdo essential oils. Do this every 5 minutes if needed. Diffuse using a cold mist diffuser so all healing components are kept in integrity. Aroma Life is a blend of essential oils exclusive to Young Living. When essential oils are blended together, the components equal more than their individual qualities alone. Aroma Life is a blend of Cypress, Marjoram, Helichrysum, Ylang Ylang. How do I use Aroma Life? Topically: To improve the lymphatic and circulatory systems place 2 drops over lymphatic areas such as side of neck/chest, upper arms, behind knees, groin area. Place 2 drops over heart to improve circulation and reduce stress. Place 2 drops in palm with ¼ tsp coconut or olive oil, apply directly to hemorrhoid. Apply 1 drop to under the left ring finger or left ring toe to ease anxiety and improve circulation. Can add 1 drop of grapefruit or orange oil to improve circulation and lymphatic flow even further. Diffuse: Diffuse using a cold mist diffuser so that all healing components are kept in integrity. Diffuse to improve lung circulation. Diffuse next to bed at night for a calm and peaceful sleep. I hope you have enjoyed reading about these beautiful essential oils. I view them as gifts from nature that help me at ever juncture of my life. They are truly a gift to the senses and the body. In my next post we will discuss two more beautiful and healing oils: Frankincense and Joy Oil. If you have questions or comments, please use the space below and I will respond to you. Life is stressful — it always has been. Essential oils are the best choice! Lavender and peppermint oils also enable us to distinguish positive emotions such as joy, love, and happiness. My mom was a patient of breast cancer, and she had to go through strenuous radiation and chemotherapy ,did not knew then about the inhalation of EO , which might have lessen her pain, thanks for sharing the post anyway. I love using my oils.. Not sure I always use them right but they feel and smell good to me!! !..